The overnight configurator elves were busy on Tesla’s website again. Shoppers woke up to discover that two paint colors not longer appear for either the Model S or the Model X. Solid white (which was a popular no-cost selection for many) and the metallic beige that Tesla called “Titanium” have both been deleted from the online “custom order” page. No new color options have appeared in their place, so let the speculation begin! At this point, Solid Black alone remains as a no cost selection. 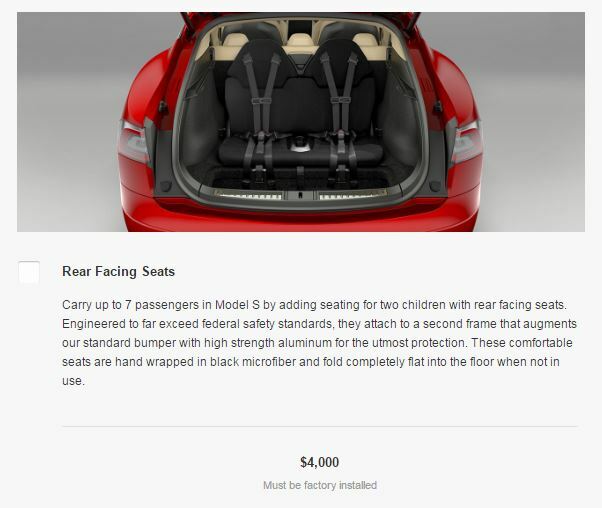 On the Model S, the rear facing third row “jump seats” also increased in price to $4000. No additional improvements or enhancements to that option are no ted in its description.